Hosea Johnson is the Founder and President of Johnson Associates Systems Inc., located at 900 Route 168, Turnersville, New Jersey. Johnson Associates Systems is an Orthotic and Prosthetic Company that provides support to our nations&#39; military veterans within the Department of Veterans Affairs. Mr. Johnson is also the owner of WSI - We Simplify the Internet, a professional and innovative information technology company dedicated to providing quality products and services in internet marketing, systems design and development, systems engineering, network and data communications and project management. Mr. Johnson graduated with a Bachelor of Arts degree from Morehead State University, Morehead, Kentucky. Mr. Johnson began employment with International Business Machines as a computer programmer and worked as a systems engineer. Mr. Johnson then joined TRES Systems of Dallas Texas as a consultant and project manager. 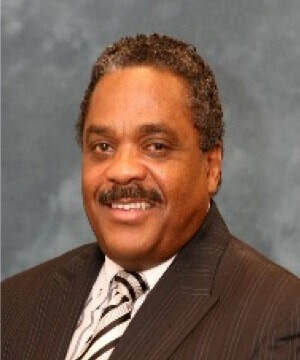 In 1983 Mr. Johnson joined Control Data Corporation and served as a regional project manager until 1988 at which time Mr. Johnson became an independent consultant. Johnson Associates Systems was founded in 1990. Johnson Associates Systems and the Department of Veterans Affairs, has developed a partnership for the recruitment and provision of professional staff (certified Orthotists and Prosthetists) to operate the Automated Fabrication of Mobility Aids. This initiative allows the VA to; facilitate accessibility; improve the timeliness of service; reduce travel and production time; decrease cost, and serve to facilitate revenue generation for the Department of Veterans Affairs. WSI provides an affordable website technology by utilizing a modular development technology for quick assembly of website solutions using any combination of pre-built feature modules. WSI also builds targeted online traffic with Search Engine Optimization and Pay Per Click campaigns. These tools allow clients to target, reach and convert more sales with internet marketing. Mr. Johnson is a consummate professional committed to providing quality service and performance in all his endeavors. He is dedicated to the continued development of his community and businesses.